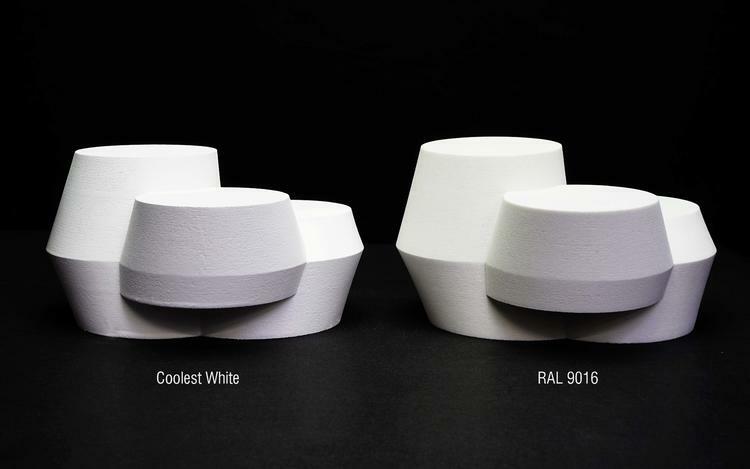 UNStudio has partnered with Monopol Colors to develop ‘The Coolest White’, an ultra-durable paint that protects buildings and urban structures from excessive solar radiation – thus slowing down the urban heat island effect. The paint is based on fluoropolymer technology. It has long lasting and ultra-durable properties that prolong the lifecycle of the coating up to 30 years. The multilayered coating system was developed for high-quality metallic facade elements and aluminium, steel or fiberglass structures. The Coolest White provides not only remarkable protection against corrosion, but also achieves a TSR value which sets entirely new standards. UNSProducts and UNSknowledge are currently developing a series of innovative building technology products in order to advance the development of applied technology and future-proof our designs. Our teams partner with industry leaders, bringing with them the combination of a product mindset, engineering know-how and a strategic vision for building technologies. See also: Technical Data Sheet, TSR Measurements and Abrasion Resistance Test!